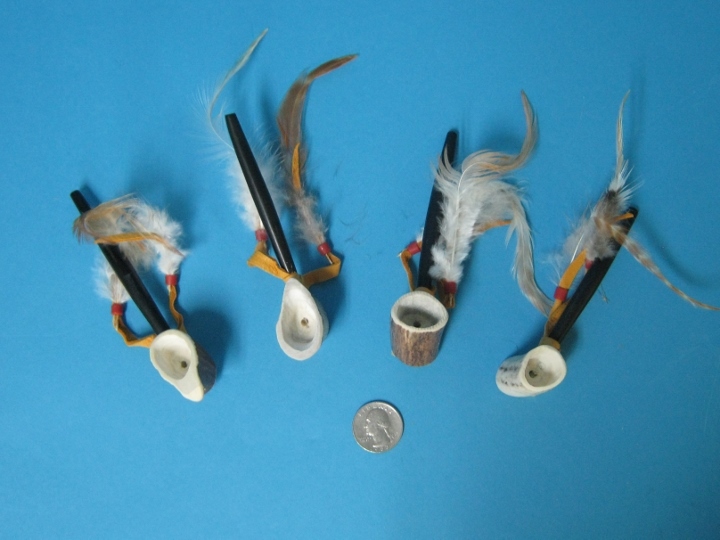 These Iroquois peace pipes are handcrafted from deer antler by Iroquois artisans in Canada. 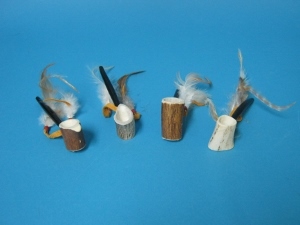 They are decorated with deerskin leather ties, beads and feathers. They come in various shapes, colors and sizes. One pipe is measured to have a stem approximately 9 cm long and a 2.5 cm circumference. The antler pipe bowl is measured to be 3 cm tall, 2 cm wide and 6.5 cm all around. It weighed 19 grams. Genus and species:Odocoileus virginianus. Wild. White tail deer are not endangered and are not subject to CITES controls.